My skin has been going through a rough patch and hasn't been behaving its best lately, so I've been reaching for a line that provides intense hydration, gentle exfoliation and light base makeup to help calm it down. 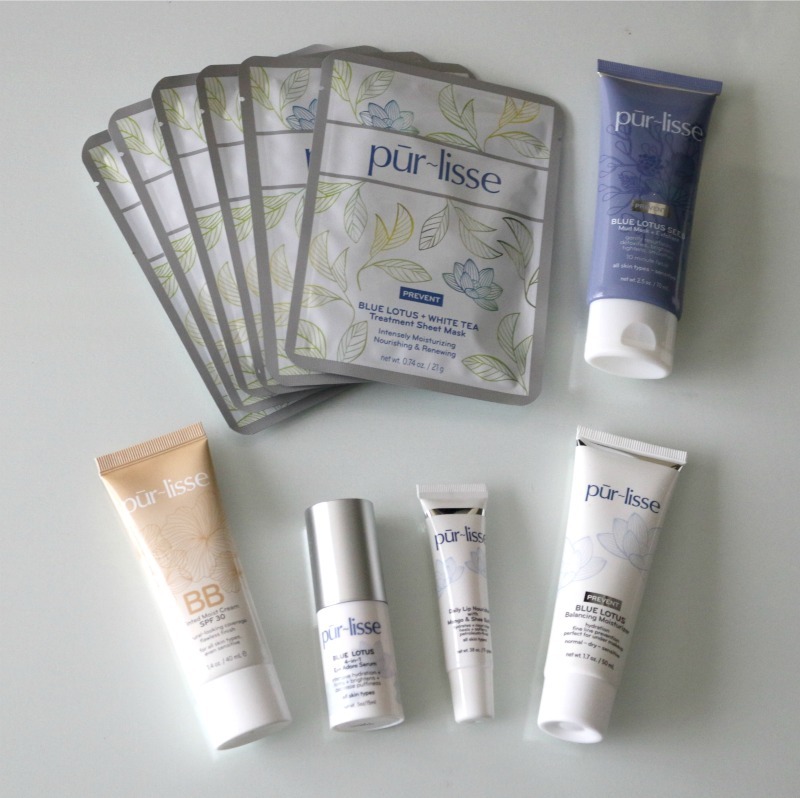 I have found all of this in Purlisse, a natural skincare brand inspired by Asian beauty with key ingredients including Blue Lotus and White Tea which has done wonders for my reactive skin. From sheet masks, to eye serums, facial and lip moisturizers and even a BB cream, this brand has it all! Unwanted facial hair - if you don't have it, count yourself very lucky! Peach fuzz, chin hair, and a moustache are what I've been dealing with for years, but I was always afraid to tackle my insecurity so I just let the hair be (it helps that they become less visible during summer from lightening in the sun and makeup does wonders too). So when the opportunity arose to try the Dermaflash Facial Exfoliating Device*, I saw it as a sign that it was finally time... to shave my face! 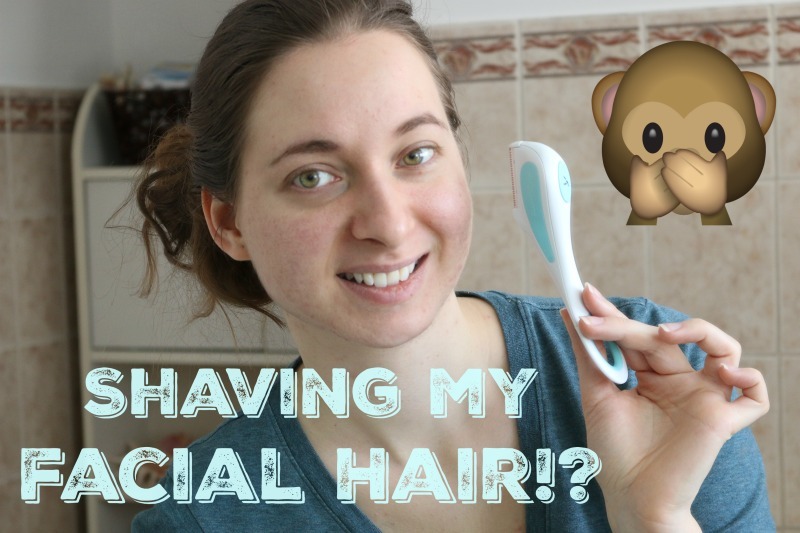 I thought it would be helpful to document my experience, so I walk you step by step through the shaving process, and it isn't as scary as you would think! While I love playing with bold and vibrants colours, I also enjoy keeping things simple when it comes to my makeup (best of both worlds, right?). 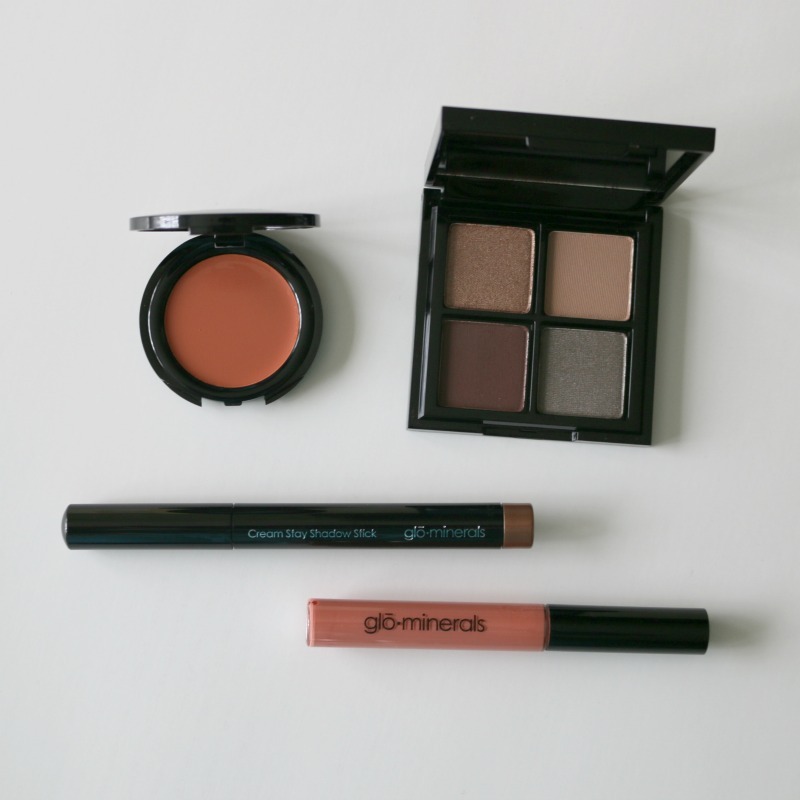 With spring approaching, I've been trying out a few makeup collections, such as this one from Sothys, and today's look features the Glo Minerals Living Color Collection in Full Bloom*. This collection includes an eyeshadow quad, a cream blush, a shadow stick and a gloss that will help you achieve the no-makeup makeup look in a few easy steps. Periods. Now that is a word I never thought I would be mentioning in a blog post, but yes ladies (and gents? ), I am going there because today's post is all about periods, or should I say, how to make periods less of a hassle with the Lunette menstrual cup. 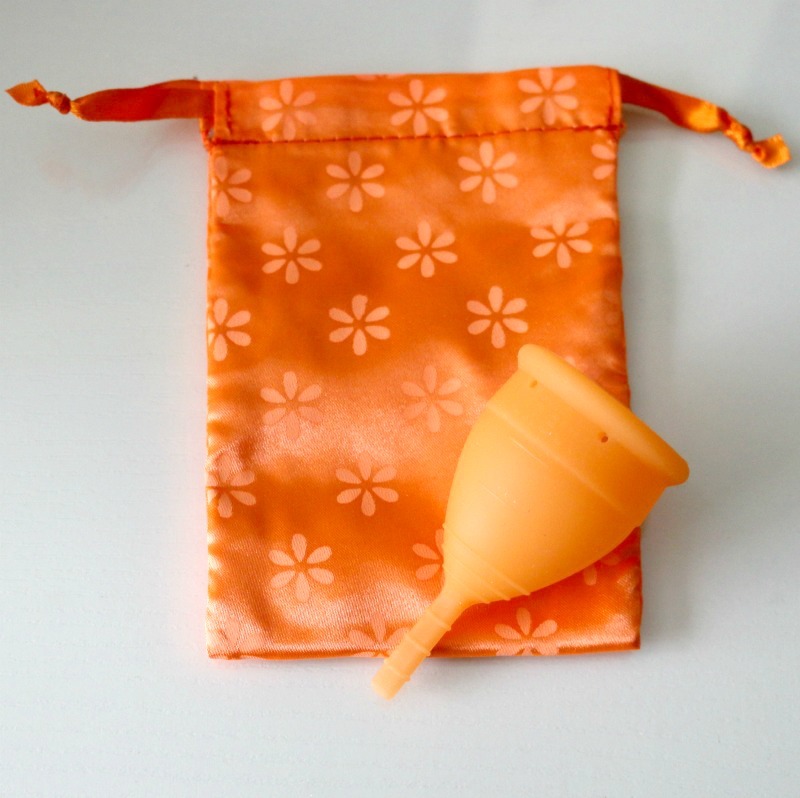 I had never tried a menstrual cup up until giving this one a go just a few months ago, but it is something I had been considering for over a year now. I kept reading (and hearing) about how menstrual cups were revolutionizing the way us women cope with 'that time of the month', so I was super thankful when Lunette asked me if I would like to share my experience after using their menstrual cup as well as offer one of my readers the chance to win one for themselves, so keep on reading to find out how you can enter! There are those special brands that I come across that capture my attention not only for their rave reviews or pretty packaging, but also whose inspiring stories have to be told, and OSEA is definitely one of them. I've been familiar with the brand for a couple of years now after reading about their products on social media from fellow bloggers and YouTubers, and it isn't until recently that I had the chance to dive into the world of plant-based seaweed skincare (I couldn't resist the pun)! OSEA's roots go back nearly a century, when founder Jenefer Palmer's grandmother, Elsa Reuschle, suffered a terrible fall and healed her leg by swimming in the Long Island Sound in NY. She strongly believe that the minerals and trace elements present in this seaweed-rich water are what contributed to her speedy recovery as she would head out for a swim in the early morning daily despite the cold winter temperatures. Fast forward a few decades, granddaughter Jenefer Palmer decided to pursue a career in holistic healing, and after establishing her own private practice and developing treatments for spas in California, the idea came to her to create her own seaweed skin care line in 1996, which she named OSEA (pronouned "OH-SEE-UH"), which stands for the core elements of wellness: Ocean, Sun, Earth and Atmosphere. To this day, the company is entirely run by Jenefer, her husband and three children, which is fascinating to say the least!